Marine Harvest has topped the new Coller FAIRR* Protein Producer Index. 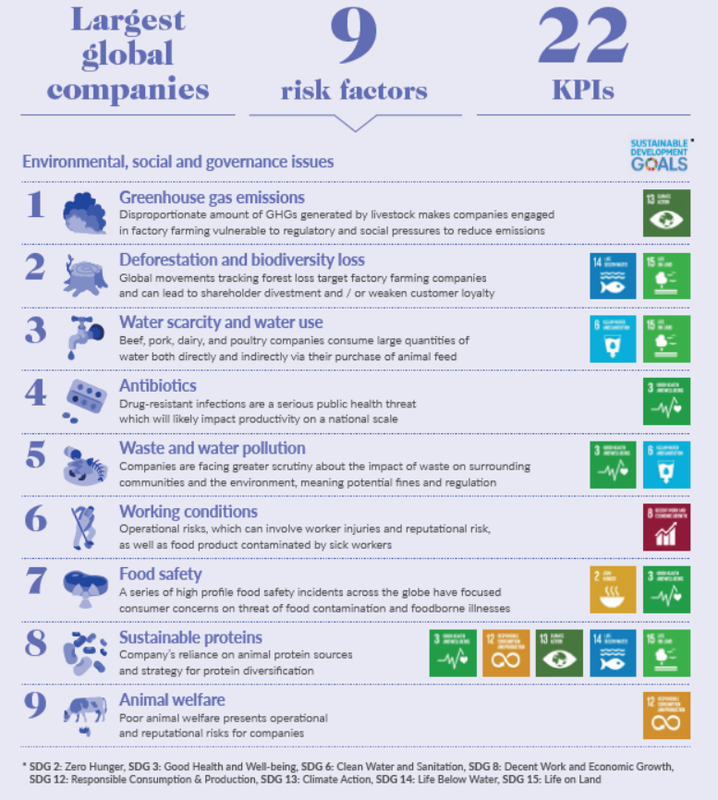 This index is the world’s first comprehensive assessment of how 60 of the world’s biggest farmers of meat, fish and dairy are managing their sustainability risks. The assessment looked at environmental, social and governance (ESG) factors. Each company’s performance was evaluated on 22 KPIs, with regard to pollution, climate change, food safety, animal health & welfare and worker safety. 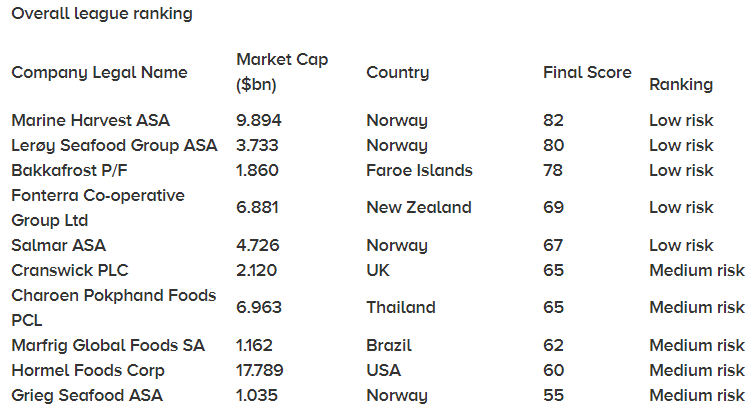 It found that although more than half of the companies investigated are failing to properly document their impact, salmon farming companies rank among the most sustainable. *FAIRR, founded by Jeremy Coller, Chief Investment Officer of Coller Capital (one of the world’s leading investment companies), is a collaborative investor network that raises awareness of material ESG risks and opportunities in global animal protein supply chains. FAIRR helps investors identify, prioritize and act on these factors through cutting-edge research and collaborative investor engagements with global food companies.